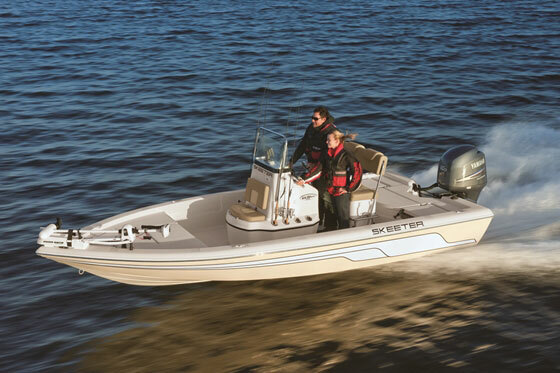 Virtually every “option” is a standard feature on the Skeeter FX21 LE—including a look no other bass boat can match. With their glittering fiberglass, sleek lines, and huge outboards, bass boats have always seemed rather flamboyant—but the Skeeter FX 21 LE is setting a new standard. In this case a picture truly is worth a thousand words, so let’s not delay the visual effect. 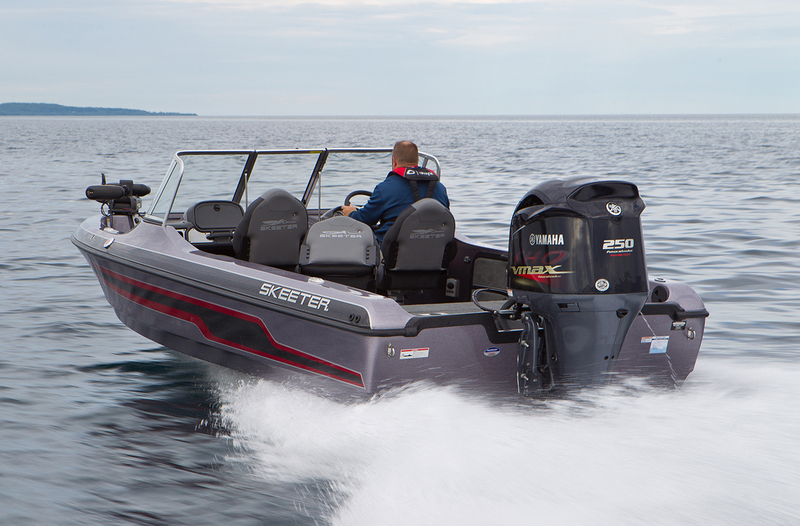 If you like radical looks in a bass boat, the Skeeter FX21 LE should get your blood pumping. And if lime green isn’t your color of choice, fear not. Skeeter is offering the FX 21 LE (Limited Edition) in six different color patterns, also including orange, blue, white, black, and red. But appearance alone isn’t what Skeeter is banking on. This model also comes rigged to the teeth with a slew of big-ticket items. One Power Pole isn’t standard—two are, and both are color-matched to the boat. The stock fishfinder isn’t some puny model, it’s a 12” Lowrance HDS-12 Gen3 Touch, and there’s a second unit, a HDS-9 Gen3 Touch, mounted at the bow. There aren’t merely two livewells, but two that are both fitted with oxygenators. 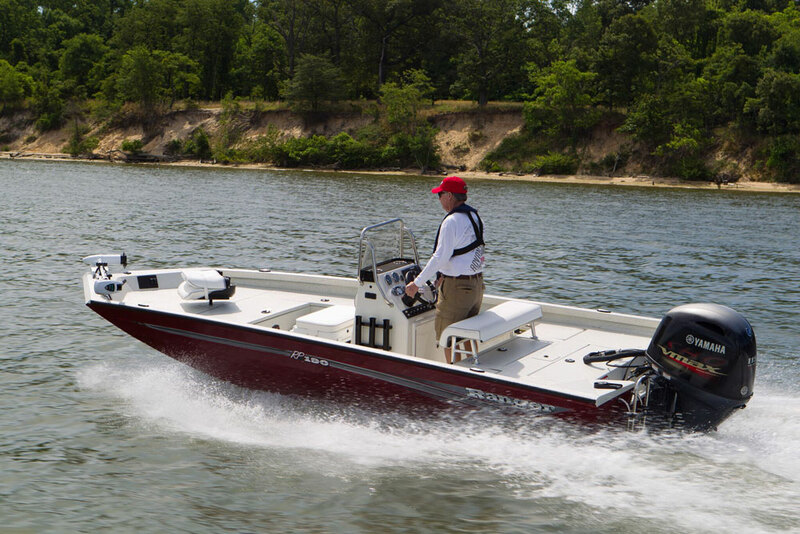 The standard electric trolling motor is a 36-volt beast with 112 pounds of thrust. And even the trailer is jazzed to the teeth, with black aluminum wheels and a Tuff Coat channel frame. 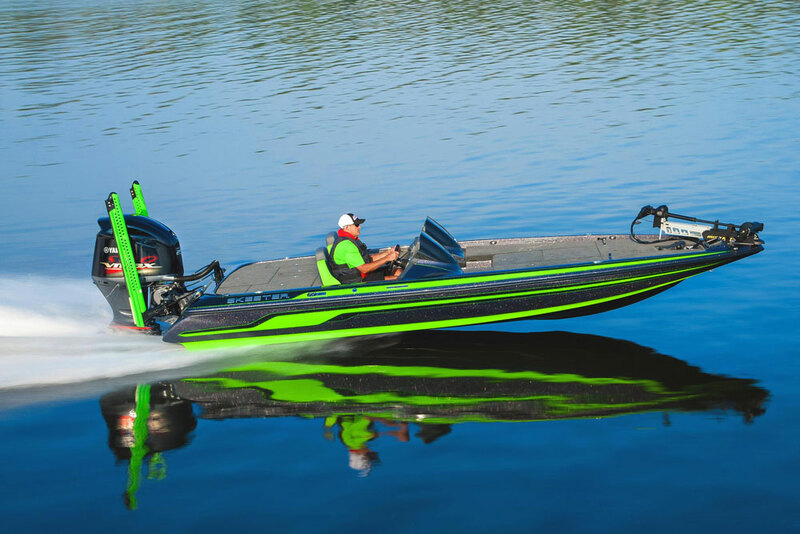 Bass guys demand exceptional performance, and since looks can be deceiving a bass boat with a vibe this radical needs to be able to put its money where its mouth is. And the FX21 LE most certainly does. With two people onboard top-end and a Yamaha VF250LA V Max SHO outboard at the transom it hits an eye-watering 70.3 MPH. Even at that outrageous speed, the boat gets better than three miles to the gallon. Much of the credit for the impressive performance goes to hull design, which is based on a 20-degree deep V deadrise with concave primary reversed chines, secondary reversed chines, a pad, and a setback that feeds clean water to the prop. To take wave impacts at these speeds, the boat also has to be built a bit differently from the norm. 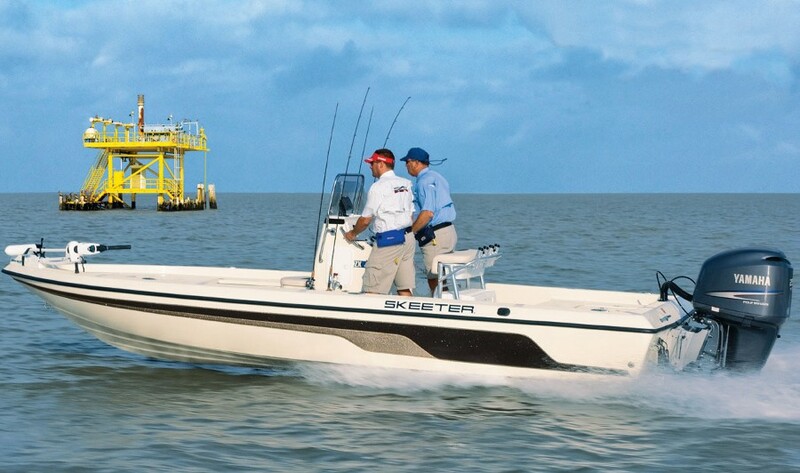 One of the most surprising aspects of the Skeeter’s construction is that it incorporates an Ex-Cel composite transom and stringers built with aircraft-grade aluminum reinforcements bonded in. The deck grid is also aluminum, and the floor is built from a fiberglass/PVC foam core sandwich. 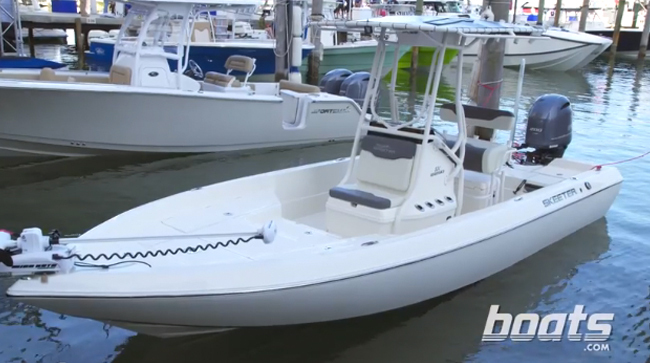 Inside the Skeeter FX21 LE there’s plenty of room for fishing rods, tackle, and gear. 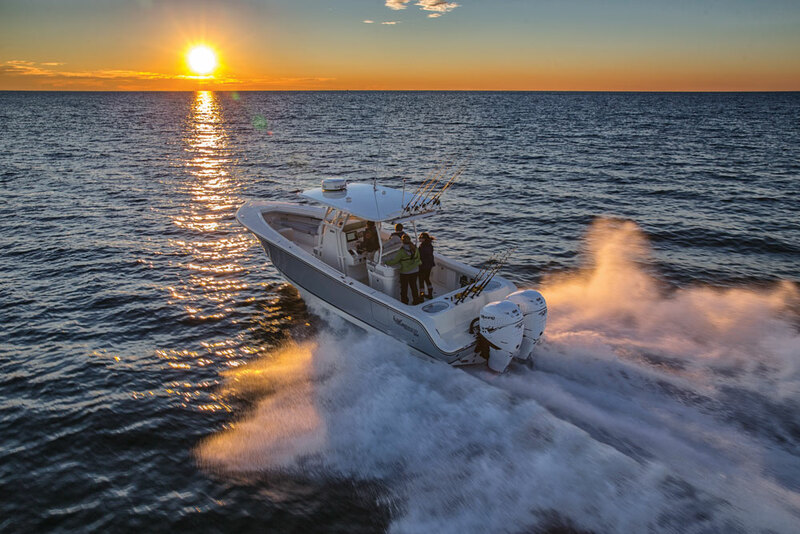 The FX21 LE’s topsides design is fairly standard for a bass boat of this size, with a rodbox under one side of the foredeck, stowage under the other, a tackle center in the middle, and livewells plus additional stowage under the aft deck. You get to choose between a pair of fishing chairs or bike seats. While the helm and passenger’s seats are large and comfy, the center seat is miniscule. 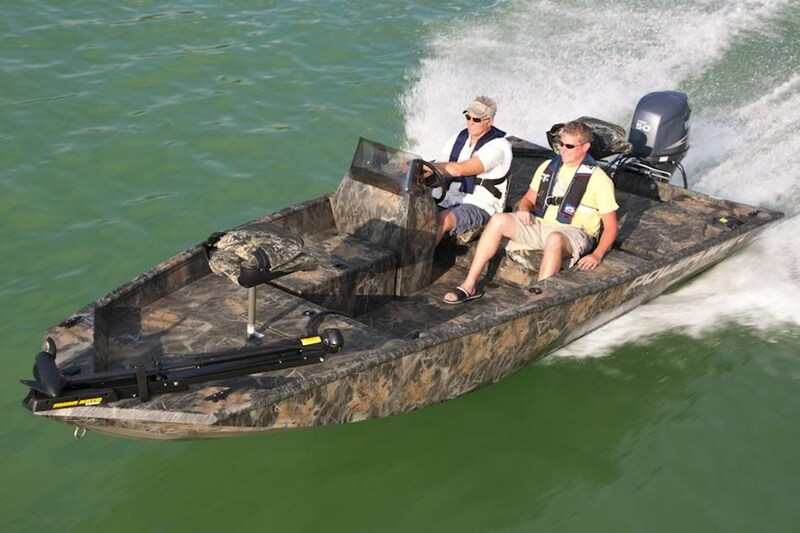 Like many hard-core bass boats designed for real competition, despite its size this is truly a two-person boat. The passenger’s side console is one of the few options you’ll have to decide upon; the one other item that forces a judgment call is the jack plate. A 12” manual plate comes standard, or you can opt for a hydraulic model. 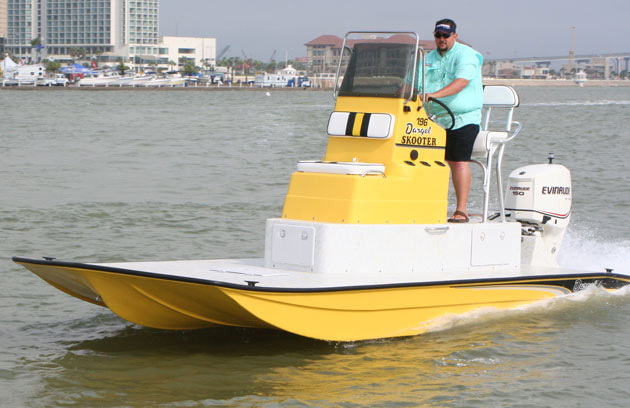 We say go for it—it makes no sense at all to try to save a few bucks, when you’re looking at a bass boat that’s already in the neighborhood of $70,000. Shoppers looking at the FX21 LE are going to be pretty serious about their bass fishing, and there’s one other factor they need to take into consideration about this boat: it comes with a limited lifetime structural warranty, a 10 year transferrable structural warranty, and a three year bumper-to-bumper component warranty. In the world of boats, that’s a big promise to make. But considering how well the FX21 LE lives up to the promises its looks made, we’re guessing that Skeeter has no problem keeping it. Other Choices: The Triton 21 TRX is another top-of-the-line model serious bassers will want to check out. The Ranger Z120 may also be of interest. For more information, visit Skeeter. See Skeeter FX21 LE listings.